“Bespoke” - Derived from Savile Row, the term “bespoke” means to have an item specifically commissioned to a customer’s specifications. In tailoring terms, it relates to having clothing made to exact and individual measurements. But Savile Row can be a pretty intimidating place. A hidden side street, tailors have a wealth of knowledge and prices can easily escalate without you knowing. 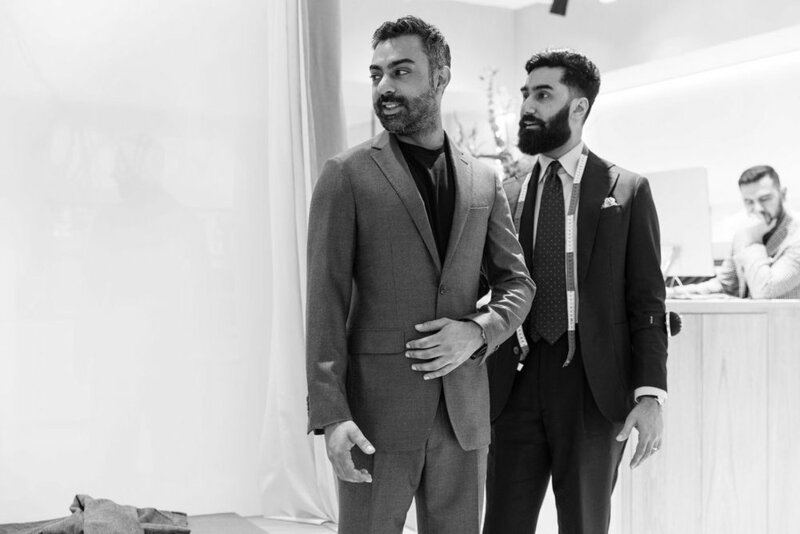 There is a place for a modern approach to bespoke tailoring in the twenty first century, for a simple space where men can come and feel comfortable and relaxed in the knowledge that they are leaving with a superb suit. This is where Tailor Made come in. Currently operating between two central London locations in Belgravia & Shoreditch, the process is surprisingly simple. 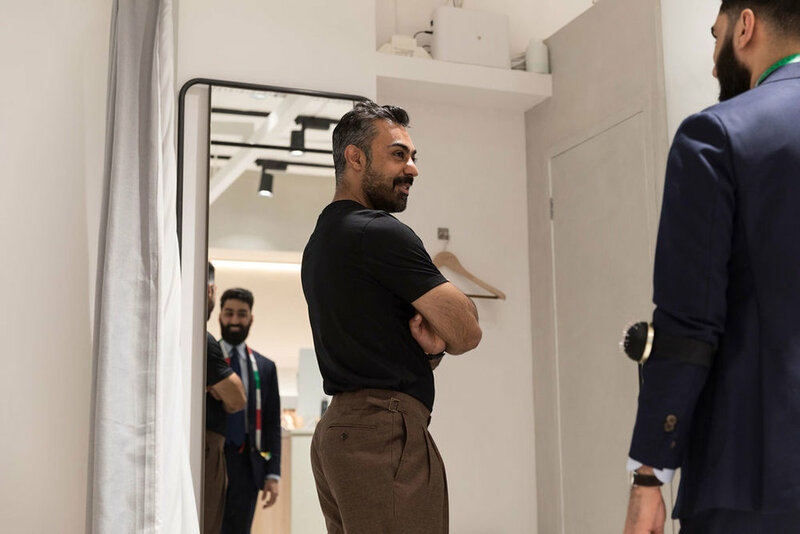 At your initial fitting, which can be booked online, you will meet one of the personal stylists where you will be guided through the seasonal collections which boasts over 3000 Italian & British fabrics that cater for every budget & occasion. 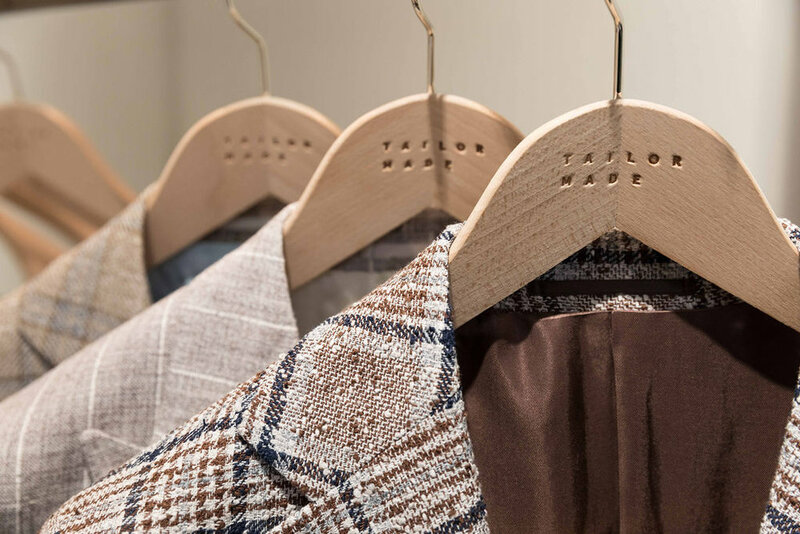 Fabric sources include traditional English and Italian weavers on Savile Row, such as Holland & Sherry, Dormeuil, Ermenegildo Zegna and Loro Piana. Once you have chosen your fabric, you get to choose every detail of your suit, from the cut to the lining, buttons and embroidery. The technological investment made by Tailor Made is what makes the brand really stand apart from other tailors. The 3D body scanner takes thousands of precise body measurements in just 10 seconds to ensure an exceptional fit. The tech makes sure that garments are cut to the body perfectly without the need for time consuming and repeat visits as per other tailors. 4-6 weeks later you will be invited back to the studio for a fitting and any minor tweaking. We had the luxury of working with head tailor Dav (look up “rakish gent” in a dictionary and you will see a picture of him in a pair of cropped, double pleated trousers) who has an illustrious career in the industry and an easy to get on with, honest approach to what suits you best and how you will wear your suit. The rules of tailoring are changing and Tailor Made is changing with the times. The brand offers overcoats and trousers as separates as well as relaxed shirts and polos as well as soon to be released chinos. The sneakers are a real highlight of the current offering and the crisp and clean design make them the perfect accompaniment to a suit. Accessories also include a range of rakish ties and pocket squares. 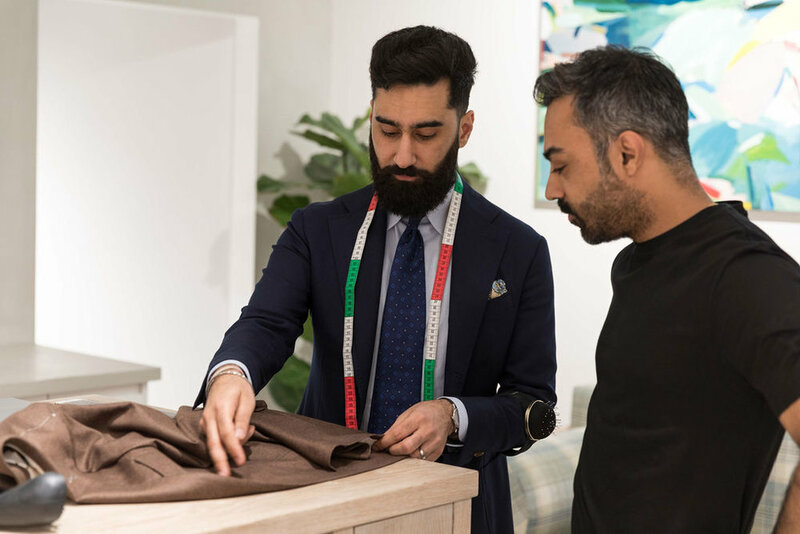 In a time sensitive society, Tailor Made have hit the nail on the head in their ability to provide a friendly and bespoke service that makes tailoring modern and relevant. The brand’s unique process offers a single consultation (10 seconds in a 3D body scanner) and once they have those exact measurements, you get high quality, custom made garments at more affordable price points. Prices start from £945 for a two-piece suit, £275 for bespoke trousers and £295 for custom-made sneakers.